This is where the Fred Feddes website starts. I write books and articles for experts and laymen on a variety of subjects, often from a spatial perspective. A good example is A Millennium of Amsterdam. It is an established introduction to the city’s history, as well as an invitation to see the city through my eyes and in doing so learn new things about landscape, urbanism and the irony of history. 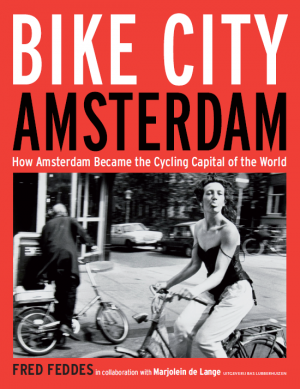 Likewise, Bike City Amsterdam tracks the history of one of the best bicycle cities in the world. Most of this website is in Dutch, as is most of my work, but I have also included an English section with an overview of books and a resume. The Dutch section includes a showroom of works, a lengthy bookshelf list, a personal resume, and an assorted opinions section. The bicycle is omnipresent in the streets of Amsterdam, in the rhythm of its people's lives, and in the city's image. To many outsiders, Amsterdam comes close to being a cyclist's paradise, but it wasn't always that way. Around 1960 the bicycle came under huge pressure due to the rapid increase of car traffic. It was through a unique combination of grassroots activism and municipal policy, supported by advantageous circumstances and driven by smartness and perseverance, that the bicyle managed to make an astounding comeback. Bike City Amsterdam recounts the story of the amazing transformation of a city that made way for the bicycle, while the bicycle in turn helped make the city liveable again. The book highlights the accomplishments of the bicycle city, as well as its setbacks and its counterforces. Its story ranges from the everyday bicycling culture to the notorious battle for the Rijksmuseum bicycle passageway and the urban challenges for the near and far future. I wrote Bike City Amsterdam in colloboration with Marjolein de Lange. The book coincides with the transfer of the Amsterdam Cyclists' Union archives to the Amsterdam City Archives (Stadsarchief Amsterdam). 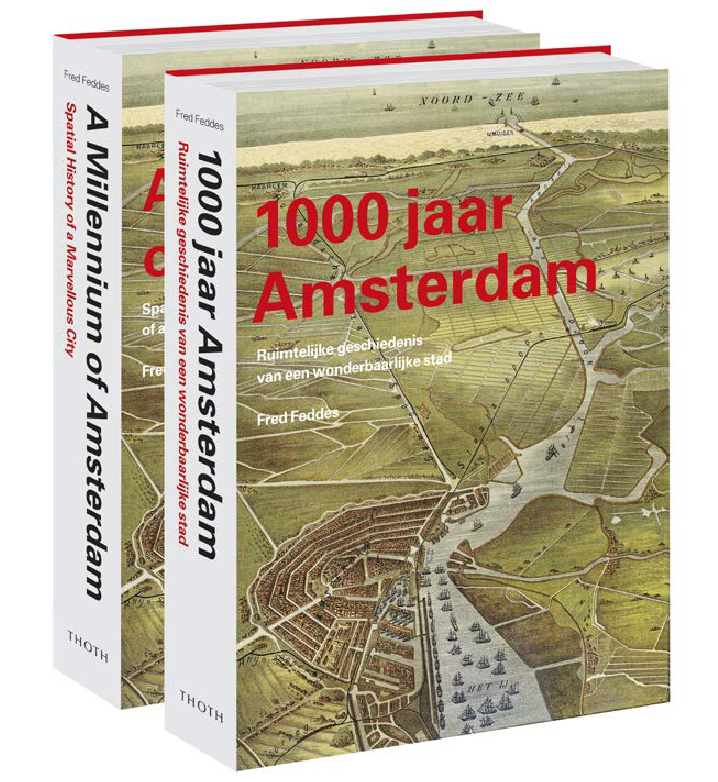 The Dutch language edition is published simultaneously as Fietsstad Amsterdam. 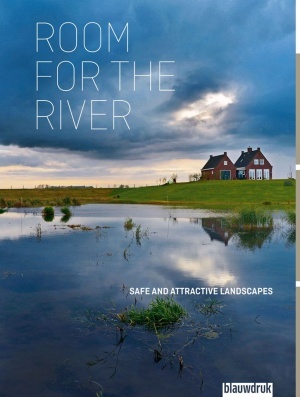 In the past decade the Dutch river landscape has undergone a remarkable metamorphosis. The Room for the River programme is part of the Netherlands’ preparations for predicted high water levels. The programme uniquely combined two goals: it created more room for the river to improve water safety and reduce flood risks, and at the same time it improved the quality of the landscape. The book contains a comprehensive overview of over thirty projects that together make up this important delta programme, that has been exceptionally successful even by Dutch standards. Special attention is given to the landscape quality perspective. The Amsterdamse Maatschappij tot Stadsherstel – ‘Amsterdam Society for City Restoration’ – was founded in 1956 as a not-for-profit company with the practical aim to restore and revitalize dilapidated parts of the historic city centre. Since then hundreds of buildings have been restored, with the individual houses being valued not in isolation but as parts of a coherent urban entity. Stadsherstel first focussed on housing but later expanded its activities to include building types such as churches, windmills and industrial heritage, both within Amsterdam and in a wider region. Stadsherstel now also owns the famous wooden houses on the Zaanse Schans. The Stadsherstel model has attracted attention internationally, and it has been followed in such diverse cities as Casablanca, Zanzibar and Paramaribo. In my essay I investigate the company’s unique character, reconstructing its roots and history from the troubled fifties, and arguing that the early Stadsherstel philosophy predates the better-known Robert Moses vs. Jane Jacobs episode in New York. The book features an extensive documentation of Stadsherstel projects form the past 60 years. How did the landscape now known as Amsterdam look before there was an Amsterdam? Why is the Jordaan quarter so different from the adjoining canal zone? Is Central Station in the right place? Why did Amsterdam’s impressive planning machine grind to a halt around 1970, and what happened after that? Who owns Amsterdam, and, for that matter, how great is Amsterdam? 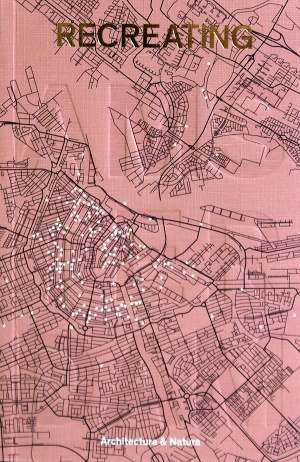 These questions, and many more, are dealt with in this richly and effectively illustrated book about a thousand years of Amsterdam’s spatial history. In the book I thread together a chain of forty stories – loosely organized in five chronological parts – about the original landscape, its reclamation, the changing relation between water and land, and the ever continuing history of the building and rebuilding of the city. Starting from Dam Square, the book fans out through the city and surrounding region, and through time from the year 1000 to the present day, along the high points of history and down intriguing side paths, to end with a well-earned day out on the beach at IJburg. 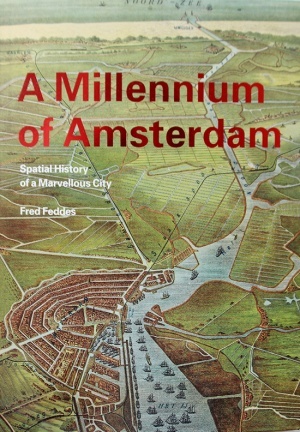 Since 2012 A Millennium of Amsterdam has been acknowledged as an indispensable and stimulating standard work on the fascinating spatial history of this marvellous city. 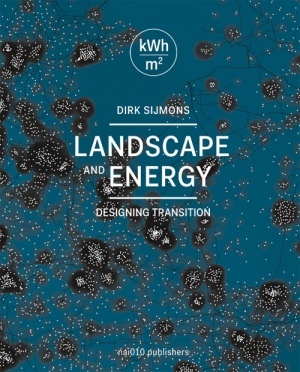 A ground-breaking book on energy and landscape, exploring the spatial and societal aspects of energy transition. Abundant energy availability is an indispensible condition for civilization and prosperity. ‘If the supply of energy failed, modern civilization would come to an end as abruptly as does the music of an organ deprived of wind’, Nobel Prize winner Frederick Soddy wrote a century ago. Wherever we get our energy from – wood, coal, oil, gas, wind, sun, uranium, geothermics – getting it has spatial consequences. So has energy transport, storage and processing. This book systematically investigates the relation between energy and surface space; hence its nerdy motto: kWh/m2. The book also looks at the future. Rather sooner than later we will have to reduce our fossil fuel use and shift towards sun and wind. This is a huge operation without historical precedence. The book explores how the energy transition can be dealt with from a spatial angle. In the midst of gloomy prospects about energy, climate and civilization, Landscape and Energy radiates a designers’ optimism: it’s a complex job, but it can be done, so let’s start right away. It’s a radiating book in a literal sense too, thanks to its 'glow in the dark'-cover. Landscape and Energy was published simultaneously with the Dutch language edition titled Landschap en Energie.